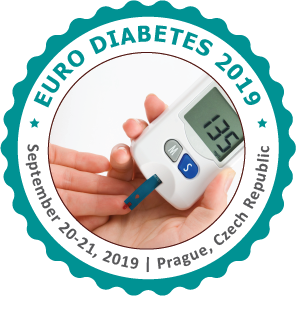 We are honored and delighted to welcome you to attend ‘‘Euro Diabetes Congress & Expo” to be held at Prague, Czech Republic during September 20-21, 2019. The projected theme of the conference is “Transforming technology and clinical advancements to exterminate diabetes”. Our scientific program includes invited plenary presentations, symposia and seminars, meet-the-professor sessions, basic and clinical abstract presentations, young investigator awards, and interactive poster sessions. Our speakers are drawn from a truly international profile, with themes in contemporary Diabetes and its related disorders and Therapies. Diabetes is a major cause of premature dying, blindness, kidney failure, heart attack, stroke and lower limb amputation. It is seventh leading cause of death according to records. More than 400 million people live with diabetes worldwide, and the prevalence is predicted to continue rising if current trends prevail. Diabetes can impose a large economic burden on people with diabetes and their families in terms of higher out-of-pocket health-care payments and loss of family income associated with disability, premature death. Realizing this imperative, we organise Euro Diabetes 2019 with an agenda to stimulate and support the adoption of effective measures for the surveillance, prevention and control of diabetes particularly in low and middle-income countries and to enhance research aiming to encounter the diabetic complications. Meeting with present and potential scientists and researchers, the course of action of talks, presentations and workshops, latest updates related to diabetes research program are hallmarks of this conference that will keep individuals delighted with continuous learning. Attendees will find answers and solutions to problems that regularly faced by the manufacturers, scientists and researchers gain the understanding and learn pros and cons in the Diabetes research and healthcare. A unique opportunity for advertisers and sponsors at this international event to promote their product and respective organisations. Special Workshop/ Symposium, B2B, and interactive sessions, with industry Sponsors and Exhibitors. Diabetes is a metabolic disease that causes high blood sugar due to hormonal imbalance. Diabetes is a number of diseases that involve problems with the hormone insulin. Diabetes is due to either the pancreas not producing enough insulin, or the cells of the body not responding properly to the insulin produced. Without on-going, careful management, diabetes can lead to a build-up of sugars in the blood, which can increase the risk of dangerous complications, including stroke and heart disease. The endocrine system consists of a number of different glands which secrete hormones endocrine system is responsible for regulating many of the body's processes. Pancreas – regulates blood glucose levels Adrenal gland – increases blood glucose levels and speeds up heart rate Thyroid gland - helps to regulate our metabolism. Diabetes affects how the body regulates blood glucose levels. Insulin helps to reduce levels of blood glucose whereas glucagon's role is to increase blood glucose levels.. In diabetes, the body either doesn't produce enough insulin or doesn't respond properly to insulin causing an imbalance between the effects of insulin and glucagon. The CDC reports that 25.8 million people in the U.S. have diabetes, or about 8.3 percent of the population. About 7 million of them are diagnosed, and 79 million more people have the prediabetes form of the disease. The diabetic metabolism is almost identical to the metabolism of people without diabetes. The only difference is the volume and/or effectiveness of the insulin produced by the body. Overweight people with either pre-diabetes or type 2 diabetes most typically produces significantly more insulin than non-diabetic people resulting from a higher ratio of body fat to muscle. The reason for this is insulin resistance, which means that the body can't use its insulin effectively enough. If insulin resistance exists, this therefore reduces the effectiveness of the phase 1 insulin response .The pancreas will release all the insulin it has but it likely won’t be enough because the insulin is less effective. To overcome this stage, the body has to rely on its phase 2 insulin responses, however, this takes some time and therefore in that time, without sufficient insulin available, blood sugar levels in the type 2 diabetic or pre-diabetic are very likely to rise higher than normal. In type 1 diabetes: immune system mistakenly makes antibodies that attack the insulin-producing cells in your pancreas, resulting in little or no insulin production. In type 2 diabetes: the pancreas usually produces adequate levels of insulin, but for some reason, the body has trouble responding to insulin. If type 1 diabetes is suspected, your urine will be tested to look for the presence of a byproduct. doctor will also likely run a test to see if you have the destructive immune system cells associated with type 1 diabetes called autoantibodies. Complications of diabetes mellitus are acute and chronic. Risk factors for them can be modifiable or not modifiable. Overall, complications are far less common and less severe in people with well-controlled blood sugar levels. risk factors such as age at diabetes onset, type of diabetes, gender and genetics play a role. Hypoglycemia : is defined as having a blood glucose level of below 4.0 mmol/l. Symptoms include tiredness, weakness, confusion and a raised pulse rate. Depending on what type of diabetes you have, blood sugar monitoring, insulin and oral medications may play a role in your treatment. 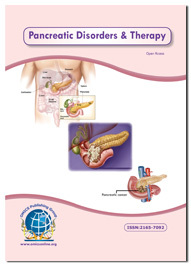 Pancreas Transplantation: In some people who have type 1 diabetes, a pancreas transplant may be an option. Islet transplants are being studied as well. With a successful pancreas transplant. Artificial pancreas is a man-made device that is designed to release insulin in response to changing blood glucose levels in a similar way to a human pancreas. Artificial pancreas systems are being studied as a possible treatment option for people with type 1 diabetes and type 2 diabetes. Intensive insulin management and insulin pump therapy allow greater opportunity to take control of diabetes but, because they are a more expensive option than injections, eligibility criteria exists to ensure the most suitable candidates have access to insulin pump therapy. Oral Medication and Pharmacotherapy : Sometimes other oral or injected medications are prescribed as well. Some diabetes medications stimulate your pancreas to produce and release more insulin. Others inhibit the production and release of glucose from your liver, which means you need less insulin to transport sugar into your cells like metmorphin, Actos(Pioglitazone), Byetta, Forxiga, Januvia. Type 1 diabetes always requires insulin therapy, and will not respond to insulin-stimulating oral drugs. Adjusting Basal and Bolus Insulin Doses: Adjusting insulin dosage is a skill which takes time to develop and comes through understanding. Recording your numbers is well advised for making dosage change decisions. Encapsulated islet cells can be likened to an advanced form of transplantation but has the distinct advantage that the treatment does not require the recipient to take immunosuppressive drugs. Prevent the need for daily blood glucose tests. Insulin resistance is when cells in your muscles, fat, and liver don’t respond well to insulin and can’t easily take up glucose from your blood. As a result, pancreas makes more insulin to help glucose enter in the cells. As long as pancreas can make enough insulin to overcome cells’ weak response to insulin, blood glucose levels will stay in the healthy range. Prediabetes means your blood glucose levels are higher than normal but not high enough to be diagnosed as diabetes. Prediabetes usually occurs in people who already have some insulin resistance or whose beta cells in the pancreas aren’t making enough insulin to keep blood glucose in the normal rangeand extra glucose stays in bloodstream rather than entering cells. Over time, person could develop type 2 diabetes. Insulin is a key player in the control of intermediary metabolism and has profound effects on electrolyte metabolism, carbohydrate and lipid metabolism, and significant influences on protein and mineral metabolism. Insulin stimulates the liver to store glucose in the form of glycogen. A well-known effect of insulin is to decrease the concentration of glucose in blood. The metabolic pathways for utilization of fats and carbohydrates are deeply and intricately intertwined. Considering insulin's profound effects on carbohydrate metabolism. Insulin promotes synthesis of fatty acids in the liver. Insulin inhibits breakdown of fat in adipose tissue by inhibiting the intracellular lipase that hydrolyzes triglycerides to release fatty acids. Neural regulation: Parasympathetic stimulates insulin release through IP3/DAG. Sympathetic NS inhibits insulin release through α2receptoractivation. Molecular Biomarkers can be demarcated as “a characteristic that is accurately measured and gauged as an pointer of normal biological procedures, pathogenic procedures, or pharmacologic responses to a pharmaceutical intervention. Biomarkers play an vital part in leading clinical trials and treating patients. Advances in molecular diagnostics help medical professionals make knowledgeable, scientifically valid decisions. More well-organized discovery and usage of biomarkers in the growth of antidiabetes drugs will depend on accelerating our understanding of the pathogenesis of diabetes and specifically its macrovascular complications. Procedural improvements from other fields, especially cancer, are beginning to show the way towards better models of diabetes pathogenesis and molecular biomarker discovery. The Restoring Insulin Secretion study (RISE) includes 3 studies examining whether aggressive glucose lowering will lead to recovery of pancreas function in those with prediabetes and . Type 1 diabetes immune system attacks and destroys the insulin producing beta cells of the pancreas. There is beta cell deficiency leading to complete insulin deficiency. Thus is it termed an autoimmune disease where there are anti-insulin or anti-islet cell antibodies present in blood. These cause lymphocytic infiltration and destruction of the pancreas islets. Gestational diabetes is a condition where there are excessive counter-insulin hormones of pregnancy. This leads to a state of insulin resistance and high blood sugar in the mother. There may be defective insulin receptors. Diabetes is not just about counting carbs, checking BGLs and administering insulin. The disease takes an emotional and psychological toll as well. Diabetes and mental health issues very common, some people with diabetes have a mental health condition. Many people with diabetes know that having diabetes can result in some unpleasant and uncomfortable emotions. Diabetes can have a big impact the way that people with diabetes live their daily lives and interact with the world, and this can be especially challenging when it comes to relationships with family and friends. Stress and other negative emotions can affect the ability to be present in relationships, and sometimes the ability to have relationships at all. Organizations like CDMH that particularly focus on diabetes and mental health. According to scientist Injectable nanoparticles may someday eliminate the need for patients with Type 1 diabetes to constantly monitor their blood-sugar levels and inject themselves with insulin. The nanoparticles were designed to sense glucose levels in the body and respond by secreting the appropriate amount of insulin, thereby replacing the function of pancreatic islet cells, which are destroyed in patients with Type 1 diabetes. This type of system could ensure that blood-sugar levels remain balanced and improve patients’ quality of life. Continued development of bioinformatics and analytical strategies has facilitated the discovery of causal links in understanding the pathophysiology of diabetes and its complications. Computational meta-analysis can link environmental chemicals to genes and proteins involved in human diseases, thereby elucidating possible aetiologies. The recent rapid development of a variety of analytical platforms based on mass spectrometry and nuclear magnetic resonance have enabled identification of complex metabolic Syndrome phenotypes. Ketogenic diets may help to reduce blood sugar levels. As such, some people with type 2 diabetes following a ketogenic diet may be able to reduce their medication. However, those following the ketogenic diet, as well as an insulin regimen, may be more at risk of developing hypoglycaemia. Doctors, dietitians, and nutritionists may suggest we eat a good balance of macronutrients and micronutrients. Micronutrients like: Vitamins, minerals, Organic acids, phytochemicals. In contrast to fats, proteins, and carbs, micronutrients are substances we need in very small amounts, yet without adequate micronutrients we are vulnerable to body malfunctions, and disease. Global diabetes market: is expected to grow at a CAGR of 7.6% percent for the forecasted period of 2018-2023. The market is segmented on the basis of type of diabetes, drugs class and diabetic devices. Diabetic drugs have the highest market share amongst drugs and devices and are also expected to have the highest growth rate with a CAGR of 8.9%.Diabetic devices includes blood glucose meters and insulin delivery devices. The market for blood glucose meters will have the highest market share compared to the insulin delivery systems such as syringes and injection pens. Continuous glucose monitoring systems will have the highest market growth. U.S. alone spends 11% of its health expenditure on diabetes. India and China are most affected by diabetes with over 120 million patients. A majority of diabetes patients are either undiagnosed or lack the basic treatment. Some of the leading manufacturers are trying to develop artificial pancreas. Currently CGMS devices are being used with insulin pumps as secondary prototype for artificial pancreas. It is expected that artificial pancreas will be ready for commercialization by next decade. Global digital diabetes/ management market: is expected to grow at a CAGR of 21.7% from 2018 to reach $12.03 billion by 2025. Rising number of diabetic patients, increasing penetration of smartphones, technological advancement in diabetes devices, and growing funding for diabetes are the key factors driving the growth of this market. On the basis of end user, the digital diabetes market is sub-segmented into home care and hospitals and clinics. key players in the global digital diabetes market are Lifescan, Roche, Medtronic, Ascensia Diabetes Care, Tandem Diabetes Care, Dexcomm, SocialDiabetes, One Drop, H2 Inc., Dottli Oy, Abbott Laboratories among many others. The global digital diabetes management market is projected to reach USD 19.9 billion by 2024 from USD 6.8 billion in 2019, at a CAGR of 23.8%. The growth of this market is mainly driven by the rising prevalence of diabetes, increasing focus on the development and adoption of digital platform for diabetes, and technological advancements. Global human insulin market: market valued of global human insulin is projected to register a CAGR of 8.8% during the period 2018-2023, on account of the rising number of diabetic patients, growing geriatric population, technological advancements in insulin delivery devices, and increasing population exposure to risk factors leading to diabetes. On the basis of product, the human insulin market is categorized into HI drugs and delivery devices. HI drugs held the larger share in the market in 2017, accounting for 79.5%, due to the high prevalence of diabetes, increase in research and development (R&D) activities for drug discovery and development, growth in the market demand for HI analogs, and rise in geriatric population. HI products are used in the management of type II diabetes, type I diabetes, and gestational diabetes and prediabetes.